Ms. Milly Nattimba is a Communications practitioner, with a strong bias in health communications. She is currently working with Makerere University, based at the College of Health Sciences; working as a Communications Officer, where her overall function is to coordinate the College’s communications function. Her work also involves providing support to research teams in the broad areas of stakeholder engagement, visibility and research uptake. Before joining the College of Health Sciences, Milly worked for the College’s School of Public Health as a Communications Manager. Milly has worked for government, private and community media organisations, and a regional capacity building partnership program for civil society in Participatory Forest Management (EU –funded) as Information Officer. Milly has worked in media and communications production for over ten years, as news producer and a communications manager. She has also mentored young professionals in journalism and communications. In these roles, Milly has been responsible for news gathering, program production, editing, concept formulation, documentation, communication strategy development and implementation, building partner and media relations, and community mobilisation. 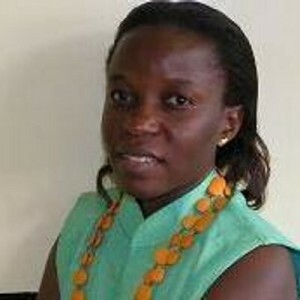 She has built skills in designing training materials for journalists, health communicators and health workers. She is a trainer in communications and reputation management. On the SPEED initiative she is the Communications Adviser.